It’s been seven days since we arrived in the Middle Kingdom. It still doesn’t feel quite real that we’re in another country. It’s easy to forget that you’re in China. In a much shorter amount of time than I anticipated, I’m used to the sounds of China – the sharp Mandarin language, horns beeping all the time, the general business of a city. We’ve located the local cafes both on and off campus – 1897, Grandma’s, Panini and Gecko to name a few. We’ve survived our first party on Saturday night, and even made it through our first day of classes. I feel like the first week here has been all about taking risks and making it through. We took the bullet train to Shanghai. Kay set up a Taobao account so we can buy internet. We negotiated mobile phone contracts, taxi prices and some people have even bought bikes. The limbo of waiting for class to start has ended today, as we begin our first real week of timetables and learning. I’ve now got more tea in my room than I know what to do with. I’ve also discovered a love for Innisfree cosmetics and I’m slowly getting used to the haze that hangs around the city (pro tip – it’s easier if you just tell yourself it’s a lovely morning mist). Today we had our first class. It was just an orientation with our teacher so we could meet our classmates. My class has 22 people in it, and they seem very friendly (we’ve already got a WeChat group). I’ve sort of worked out which textbooks are for which classes, which is more difficult than you’d think – they hand you a stack of seven textbooks, all the titles are in Mandarin, you have to work out which class they align to. For the first time on Saturday we visited Hefangjie, one of the local marketplaces. Everyone bought little waving cat keyrings with our Chinese names engraved on them, to hang in our rooms. We went into a tea shop because Kay and I wanted some longjing green tea (a local specialty which is grown in Hangzhou), and ended up having a full morning tea with the shopkeeper. One thing that consistently surprises me about China is how many people smoke. In Australia it’s unusual to see someone smoking, in China it’s unusual if you don’t smoke. It’s legal to smoke inside bars and clubs, so everywhere you enter has a haze of smoke. As if the air you breathe isn’t already bad enough, add a constant haze of cigarette smoke to it and it gets even worse. On the upside, it’s frowned upon to smoke in cafes and restaurants so people generally don’t. Overall the first week has been quite nice. I’m getting used to dorm life and the millions of steps that you have to go through to achieve anything in China. Everything is a constant negotiation and the simplest things, such as switching your bedsheets over, take four or five steps to do. Tomorrow is our first full day of class with all of our teachers, hopefully it goes well! Four days into our new lives in China, we decided that now was a good time to head off on our first inter-city trip. Were we crazy? Perhaps. With our barely-existent Mandarin skills and brand new mobile numbers, we packed up some stuff and headed off to the city of lights. Apparently you have to book long-distance train tickets two days in advance in China. If you don’t, you can still turn up to the train station and buy tickets, you just run the risk of having to wait a while for the train. We had no idea how long we might be waiting for the train, but we decided to take the chance anyway. After using our broken Mandarin to request 4 tickets to Shanghai, we realised that luckily we only had to wait half an hour for our train! The next shock was entering the train station which I swear was bigger than Sydney’s domestic airport terminal. After going through security we wandered around some of the food shops before heading down gate 16B to board our train. We got to Shanghai about 11am and jumped on a metro train. The Shanghai metro is super easy to get around, it’s all colour coded and as long as you know which stop you want to go to it’s easy to buy tickets and use the trains. We headed to Jiashan Rd, the nearest stop to our room. After having a little trouble locating our room, we went in to the very cute apartment. It was two levels and had two bedrooms, a bathroom and a tiny living area. We then headed out to explore Shanghai. The only thing that we knew we wanted to do was visit the Bund to get some photos of the famous Shanghai skyline. After consulting our Metro maps, we jumped on a subway to East Nanjing Road, the closest metro station. And boy, was the view worth the trek. I wish we could have seen it at night time, but we’ve got plans to go back and see Shanghai at night. Me squinting on the Bund because the sun was super bright. After walking around the Bund we wandered back towards the metro station to get some lunch. It was surprisingly hard to find somewhere to eat. We eventually found a place to get some xiao long bao, a specialty Shanghai dumpling. Sadly we ate too fast and forgot to take photos of the food. Next time! On the way to the Bund we’d passed an InnisFree and also an Etude House (two Korean cosmetic brands), so of course we had to go in and look. I got a new green tea facial wash which smells amaaaazing. Kay and I also bought some green tea face masks and nail polish. Necessities, right? Just a standard metro station. We had to head back to our Airbnb to get ready for dinner after that. One of Kay’s friends from her recent Thailand trip was having a birthday dinner, which was the reason we came up to Shanghai. Dinner was at a burger restaurant called Charlie’s. And omg, it was so worth the $25 for a burger and chips. There was a whole group of Aussie expats at dinner, so we all chatted and traded crazy China stories. Some of the other Australian people were really fluent in Mandarin, which has just made me even more determined to become good at speaking Chinese this year! We then headed out to a bar called Zappata’s, in the French Concession – every Wednesday night they have ‘Ladies Night’, with free margaritas for all the ladies. It was pretty fun. We collapsed into bed ready for another day of exploration. The next morning we finally rolled out of the apartment at about 10am, in search of what Lonely Planet calls ‘the best dumplings in Shanghai’. After getting hopelessly lost and wandering through a local marketplace, we finally came across Yang’s Fry. And holy wow, it was so worth it. Being used to the tiny Australian dumplings, Kay and Cynthia ordered seven each. I mean we were starving hungry by this point. The chef gave them a weird look but accepted the order. An hour later and we literally could not finish our last six dumplings. They were absolutely enormous and so filling! Easily the best dumplings I’ve ever had. Definitely worth the trek. If anyone needs directions we can now get you there from People’s Square Station. Finally, we went to the Yuyuan Gardens to meet our friend Winnie who is living in Shanghai for her exchange year. We paid our 30RMB (approx.$7.50) to enter the gardens, and it was the definite highlight of Shanghai. The gardens are absolutely indescribable – they are a peaceful haven right in the middle of bustling Shanghai. You almost forget that you’re in the middle of a city until you see the towering skyscraper behind the gardens. After that it was pretty much time to head to Shanghai Honqiao station to catch our train back home. We walked around the markets for a while, and we were lucky enough to see them all lit up at around 6pm. At around 10pm we finally collapsed into our dorm rooms, ready for orientation and class placements on Friday. I wish I could share more photos here but the internet is barely co-operating and it won’t let me upload any more. Maybe next time. Quick shoutout to Winnie for taking a day out to come around Shanghai with us, it was super nice to see you and we can’t wait for you to visit Hangzhou! After four days in Hangzhou we’ve finally, FINALLY got a decent internet connection. Number one on my list of ‘things I wish I’d known beforehand’: YOU CAN’T GET WIFI ON A WEEKEND. Thank God for modern China and the advent of free wifi cafes. Anyway, after what felt like a short trip, we landed at Hangzhou Xiaoshan International Airport. Thankfully customs was basically non-existent apart from the scary guard stamping our passport, so within half an hour of landing we were on the bus to Zhejiang University (from here I’m going to call it Zheda like the locals). We found our dorm at Zheda pretty quickly and braved the reception to book into our rooms. Turns out they don’t speak any English (number two on my list of ‘things I wish I’d known beforehand’). Luckily, we had some more fluent Chinese speakers amongst our group who were able to translate. This was when we found out that we couldn’t access the Zhejiang wifi until we registered for class on Monday morning. We were shown our rooms – I’ve been put next to Jessica, who I vaguely knew from Contemporary China. Having spent four days sharing toilet paper and hairdryers I can safely say I think we’ll be very good friends by the end of the year. My other friends are scattered up and down the hallway, but we’re all on the same level. Actually, we’ve kind of overtaken the level – 11 out of the 20 odd rooms are UTS students. Australia Day 2017 should be fun! The rooms are basic, but clean and quite modern. We have a bed, desk, wardrobe and bedside table, as well as an ensuite bathroom. The bathroom is definitely up there with the strangest bathrooms I’ve ever used. I’m not sure if it’s the standard in China but the shower just kind of runs onto the rest of the bathroom…there’s no step or wall to separate it. So when you have a shower the water basically goes all through the bathroom. It’s very strange. I spent a couple of days trying to have fast showers to prevent the water spread but by day 3 I’d given up and now I’m having as long a shower as I want to. Take that, room designer. The floor will dry eventually. My room, including doona from Walmart. In the right hand corner is the water jug given to all students to hold boiled water for drinking. The first few days have been a lot of paperwork, bureaucracy and waiting around for things to happen. We’ve explored the campus in the meantime, and found a very cute cafe on the edge of campus called ‘1897’ (and they have free wifi, yay!). We’ve also been shopping on Long xiang qiao, the main shopping strip near the West Lake. The only problem is it’s all Western brands and we want to find the markets. I think that we’re going to try and locate them on the weekend. Tomorrow I’m heading up to Shanghai with Kay, Cynthia and Celine for one night to explore. On Friday we get our class assignment and book lists, and then on Monday we start class. First impressions being what they are, I think I’m going to like China overall. The air is not as bad as everyone says, although there is a definite haze to it. Hangzhou seems beautiful and to be honest, not all that different so Sydney (apart from the fact that none of the signs are in English). E-bikes parked outside our dorms. It’s surprisingly hard to answer. As I said to someone today, I don’t think the realities of living overseas for a year will really hit me until I step off the plane at Hangzhou Xiaoshan International Airport. I’m excited, obviously, because I love travelling and seeing new cultures. I’m scared, because I’ve never visited China before so really have no idea what to expect. And there is a little bit of sadness mixed in with the other emotions because I’m leaving everything I know to go to China. There’s only so much you can pre-plan before a trip like this. Being me, I’ve written a detailed packing list and got my passport, visa, insurance and extra passport photos ready. I’ve got a VPN lined up so I can still get on Facebook and (most importantly) Netflix this year. I’ve decided which bags and shoes are coming, and sorted out a good winter coat for the 6 degree weather I’m heading into. Yet there’s still a feeling of nervousness. I’m definitely not as excited as I was to go to Europe – that was a touristy trip, even though I did study at Cambridge while I was there. I went into that trip looking forward to making new friends and getting to see new places. This trip feels different. Even though I’m lucky enough to be going with my three best friends from uni, I still feel quite alone. In a fit of honesty the other day, I said to a friend that if it was Europe there’s no doubt I would be excited. 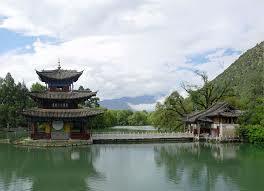 China is a bit more challenging – the language barriers are higher, and the cultural differences could be overwhelming. Well, only one more week to go before I begin my new life in China. This time next Friday I’ll be at the airport waiting to board the 10pm flight to Hong Kong, and on to Hangzhou. I’ve got a lot to do in the next week, and saying goodbye to everyone will be one of the hardest things I’ve ever done. It’s important to keep looking forward and thinking about all the great things that I’ll experience this year, with my best friends by my side. ICS 2016: I’m going to Hangzhou! I have just been told that next year I’ll be going to study in the beautiful lakeside city of Hangzhou, on the eastern seaboard side of China! To convince you all that you should come and visit me in sunny China, I thought I’d post some fun things about the “small city” of 2.5 million people that is Hangzhou. Also, you can get Facebook in China. So no excuses. Hangzhou has a very mild climate by Chinese standards. 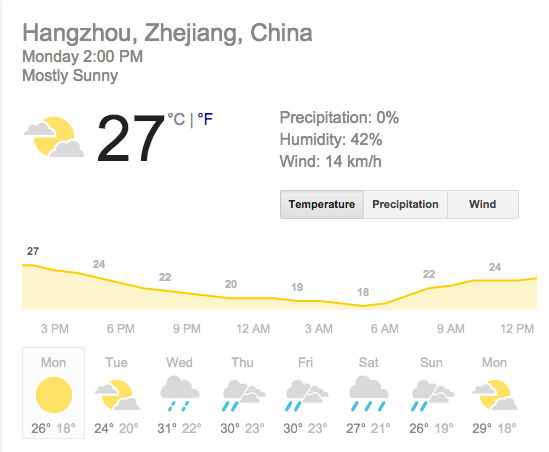 Forget Beijing, Hangzhou has balmy summers and barely cold winters. Plus, it’s super close to the beach! Summer is around 30 degrees and it rarely snows in winter. Current weather in Hangzhou. To prove it to you all. The beautiful West Lake is a UNESCO World Heritage listed site. It not only has it’s own cultural square, it has inspired hundreds of paintings. 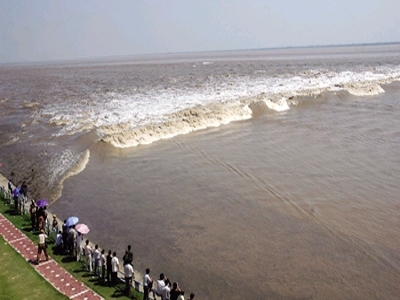 Hangzhou also has the Jade Springs and the world’s largest tidal bore races up the Qiantang river. 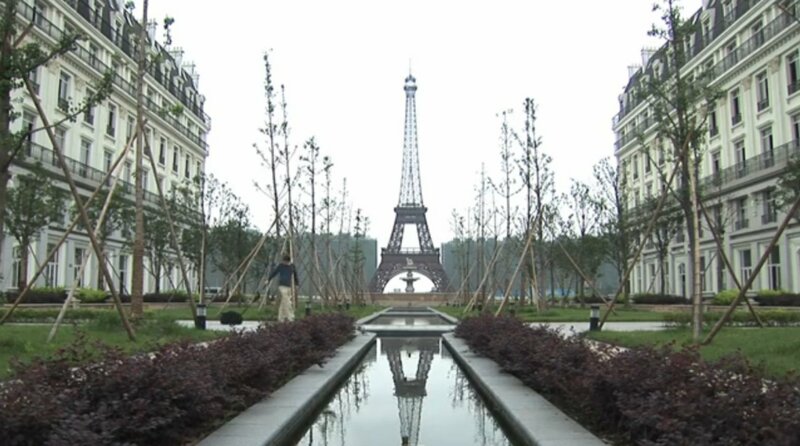 And, as a final scenic drawcard, the housing development of Tianducheng has a subscale replica of the Eiffel Tower. Who needs to go to France anyway? World’s largest tidal bore. Handy hint; don’t Google this. The results are terrifying. Tianducheng: it really does look like Paris. 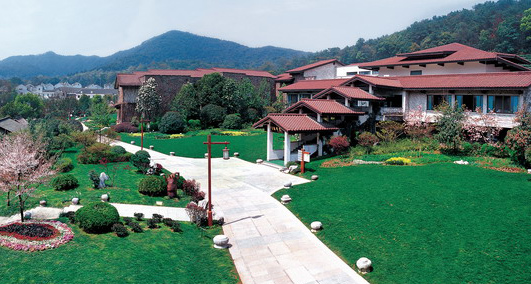 Interestingly, Hangzhou houses two national museums: the National Silk Museum and the National Tea Museum. 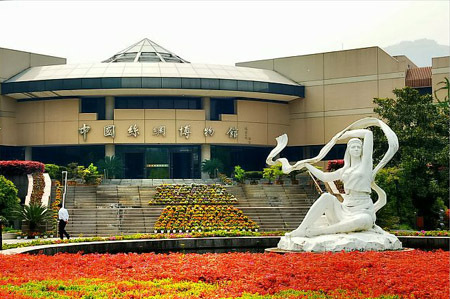 There’s also a Zhejiang Provincial Museum. But personally I’m keen for the tea museum – bring on the oolong! Hangzhou also houses the Yue Opera, the second-largest opera company in China. Hangzhou is the foundation of the Zhejian cuisine, one of China’s eight fundamental cuisines. Who can go past dishes like “West Lake Vinegar Fish”, “Beggar’s Chicken” and “Sister Song’s Fish Soup”? According to Wikipedia, locals describe the cuisine as “fresh, tender, soft and smooth, with a mellow fragrance”. 5. It specialises in making tea! Tea is the most important part of Hangzhou’s economy and culture! Hangzhou makes Longjing tea, and the best type is Xi Hu which is grown in (you guessed it!) Xi Hu, Hangzhou. They also specialise in making Chinese hand-held folding fans. Because no visit to China is complete without one of these souvenirs. So basically I now expect lots of visitors next year, because this is just five small reasons why you should come visit Hangzhou. Also, expect lots of post spam next year.